This post is sponsored by Kohl's. I was paid for this post, and received the included Fitbit as compensation. All thoughts and opinions are my own. 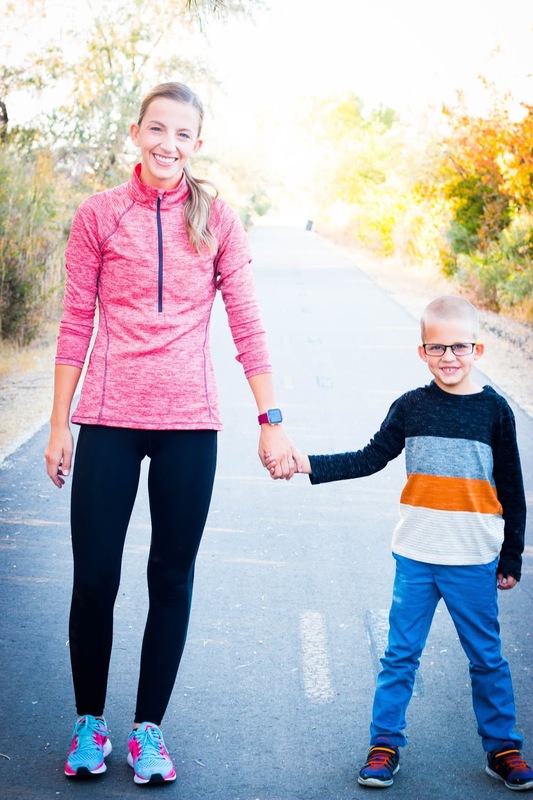 Staying physically fit and active has always been a long time priority of mine, and now that I'm a mother, I want physical activity and getting outdoors to be a real part of our family culture. This has looked different for us throughout the years, depending on what phase of life we're in, but over the summer we made hiking a huge priority. We also started going on nightly walks with Jay on his bike, and Derek or I pushing Em in the wheelchair. I'm definitely a numbers person though, and love tracking my activity with my new Fitbit Versa Ruby, which is now available at Kohl's! I love being able to track my steps, and how many miles we go each night on our family adventures. 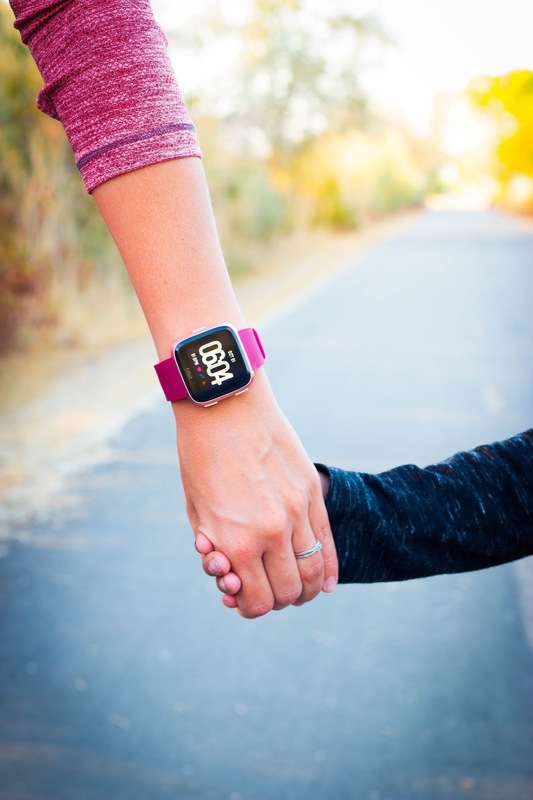 I also love using it while running since it can connect with apps that record my fitness progress, you can load up to 300 songs on it, and connect it with your bluetooth headphones for listening to music! 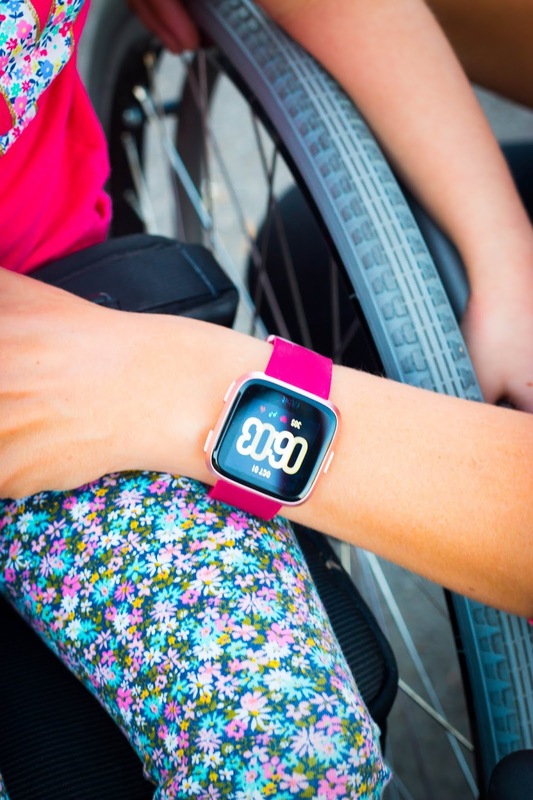 The Fitbit Versa is a modern, intuitive smartwatch at an approachable price. Even though it's the lightest metal smartwatch in the US market, they didn't miss a single detail when it comes to functionality and design. My favorite part be how pretty it is! 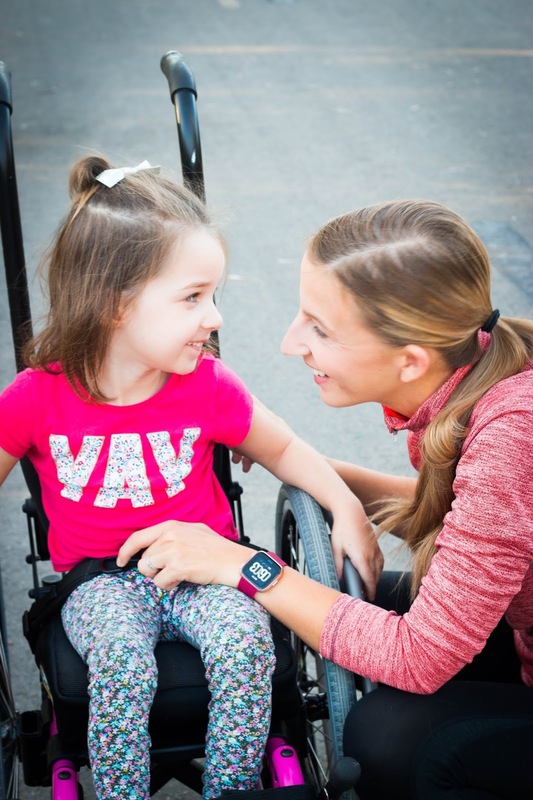 The Fitbit Versa's new ruby red band is only available at Kohl's, and it's totally worth the trip to purchase it for the rose gold aluminum case alone! OK this was perfect timing - first, I love this time of year for getting outdoors and being active (hello - hiking season) and second, I've been dying for a fitbit AND my birthday is sneaking right up (next week). It's like it's meant to be! Nothing beats a healthy lifestyle when everyone in the family is involved and conscious. It's good that you started on your children even if they're still young. my 3-year-old kid does jillian michaels workout with me every morning. dad joins us once in a while and it's our family bonding. we also love to walk in a sports complex near our home. 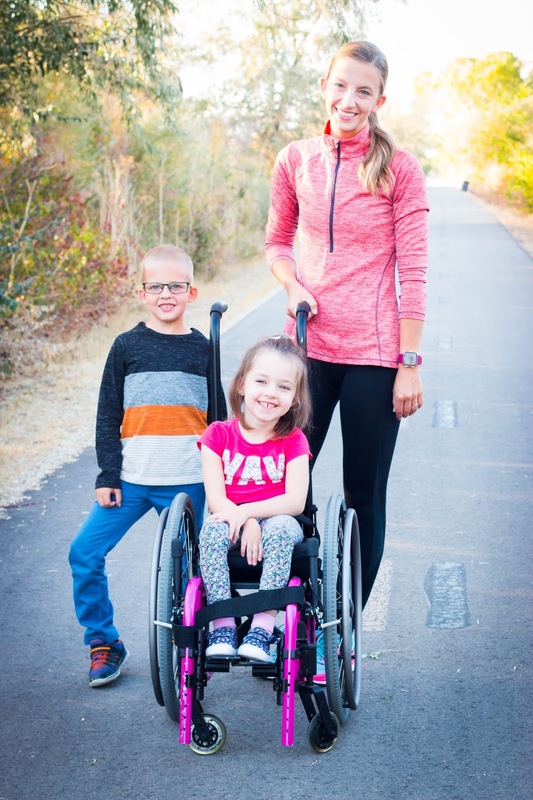 Being active as a family is not an easy task! You just gave others a fun way to stay active and to celebrate the fall holidays, awesome job! Love this post! Fall is our favourite time to get outdoors. I love the scavenger hunt idea. I will save this for when my son is a bit older! This is so awesome! Love family time and having the kids feel so accomplished but fun at the same time. It's great that you try to get your family out to be active together! I love my Fitbit, but it is an older model and I'd like one of the newer ones for the features. Being able to load music on it and listen through Bluetooth is something I'd love to be able to do, as right now I have to carry my phone with me too for my music. I've never heard of Fitbit before, I will check them out. It's feels great bonding with the family over excercise. We usually take long walks around the neighborhood and nearby parks, it's one of my sons favorite things to do. These are some great tips on staying active, a scavenger hunt sounds like such a fun time! I think that more parents need to take their kids outdoors rather than giving phones/tablets to keep them occupied. Glad you're setting examples for other families! This is too cute! I love the idea of a scavenger hunt!! so fun! This seems to be really abreat idea. Me and my husband loves hiking. It would be a great idea if we can take our kids too. Love this - scavenger hunts are always a winner with our kids. I'm always so glad when we go to visit somewhere new and they have one set up. It keeps the kids engaged and moving for so much longer. I keep thinking about getting more active, I think a fitbit would help me hold myself accountable. oh my gosh, your family is precious. and I love this idea. My family is very active as well, we like to keep the kids outside and away from so much tv and electronics. 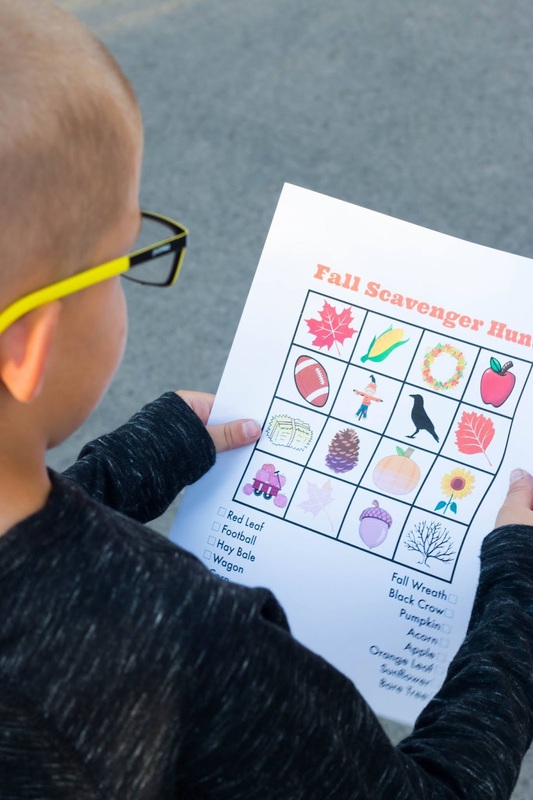 a scavenger hunt is such a cool idea!! !